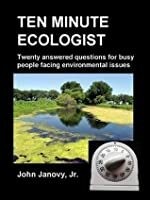 10 Minute Ecologist: 20 Answered Questions For Busy People Facing Environmental Issues by John Janovy Jr.
We’d love your help. Let us know what’s wrong with this preview of 10 Minute Ecologist by John Janovy Jr.. Preview — 10 Minute Ecologist by John Janovy Jr. Provides a primer of environmental issues for professionals too busy to go back to school, covering in short lessons such subjects as ecosystems, species, and the fragility of the arctic. 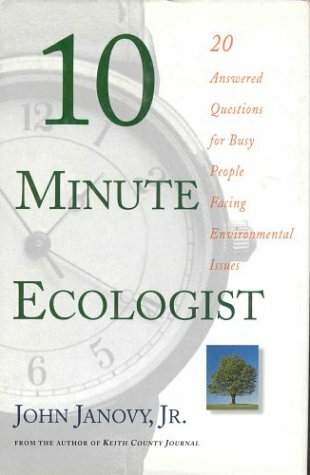 To ask other readers questions about 10 Minute Ecologist, please sign up. Very enlightening. A must-have for science teachers. Books by John Janovy Jr.